Southern African summers are a beautiful time of the year. The skies are blue, the bush is green and if you are lucky, you will witness Mother Nature putting on a show of powerful and lightning storms. But one thing to keep in mind is that these summers can get very hot. If you’re not used to these extreme temperatures, you might wonder how you will ever survive this scorching heat. “In order to encourage sleep our core body temperature must decrease. However, unusually high temperature and humidity levels impacts the body’s ability to drift into the zone required for healthy rest. 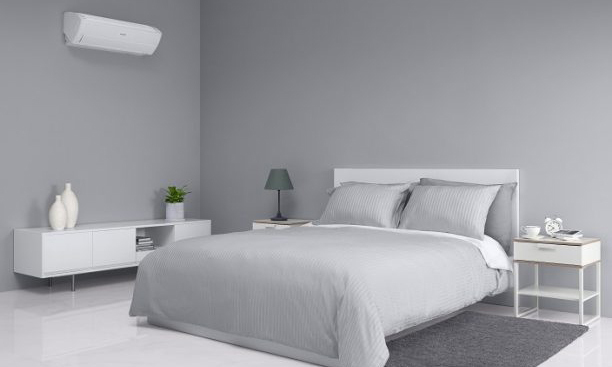 It’s therefore essential that you find a way to regulate your body temperature,” says Robert Larkan, Head of Digital Air Solutions at Samsung South Africa. Forget the fancy satin or silk sheets. Light-coloured linens made of lightweight cotton (Egyptian or otherwise) are breathable and excellent for promoting ventilation and airflow in the bedroom. It’s a bit unusual but stick your sheets in a plastic bag and place them in the fridge or freezer for a few minutes before bed. This will at least buy you some extra time to beat the heat. During summer, fill up your trusty hot water bottle and keep it in the freezer for half hour to create a bed-friendly ice pack. Drinking a glass of water before bed helps avoid the dehydration that’s sure to come with a night of tossing, turning and sweating. You probably want to avoid too much water though as you may be kept awake by those inconvenient trips to the bathroom. Light bulbs give off heat but fortunately, summer means it stays lighter later. So take advantage of natural light as much as possible and keep rooms cool after dark by using minimal lights. Switching off other unnecessary devices and gadgets also helps. There’s an extra benefit – your energy bill won’t keep you awake at night either. There are lots of pulse points in your feet and ankles. This means you instantly cool down by soaking your feet in cold water before sleeping. This works better if you’re sleeping alone. Spreading out with your arms and legs not touching each other is best for reducing body heat and letting air circulate around the body. However, if you don’t sleep alone, you may end up in some heated arguments, unfortunately. Nothing beats an air conditioner though. Even then, the type of air conditioner makes a difference. An air conditioner that constantly blasts cool air at you can have negative consequences. Samsung’s Wind-Free™ technology is an example of good airflow control. After you’ve selected the desired temperature with Fast Cooling mode, it maintains the ideal temperature without any direct wind by gently dispersing cool and still air through micro air holes for a natural cooling effect. The Wind-Free™ system’s new Good Sleep mode creates the ideal air conditions in your bedroom, so you can sleep well knowing you won’t feel cold during the night or wake in the morning with a chill. It’s the best way to go from goodnight to good morning.